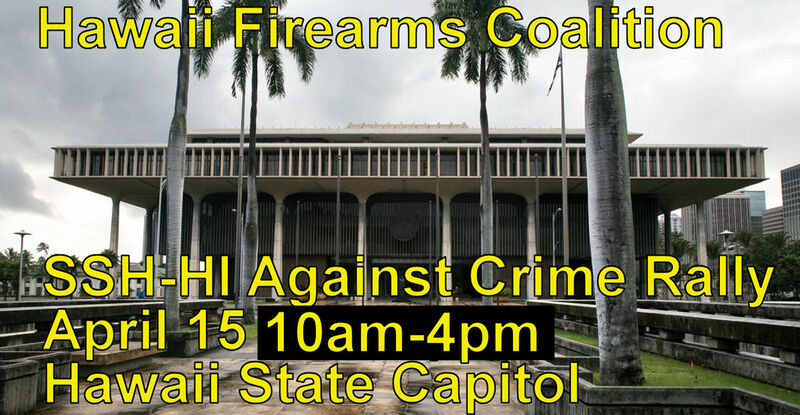 HIFICO is gathering a group of energized members to attend the Stolen Stuff Hawaii - Hawaii Against Crime & Corruption Rally at the State Capitol. Wear your yellow HIFICO shirts to represent gun owners against crime. We'll attend the rally events in our HIFICO group and educate the other attendees on how Law Abiding Gun Owners can help prevent crime. Please message me here or email todd@hifico.org to RSVP. Generally yes. The founder is. We discuss 2a stuff in the sister group SSH Off Topic. Attended a SSH planning meeting and the rally is coming together. There will be a stage and podium so attendees can voice their non-partisan lthoughts on crime. Also looking for volunteers to help with planning, logistics, security, manning tents and tables. Need pop-up tents, tables, and ice chests. Also looking for volunteers on the outer islands to help with the rally on those islands. Time was changed to 10am to 4pm with focus on 2pm for the most people. (was originally 8am to 5pm). 2pm is when we want the most people to be there. The Rally time has changed to 10am to 4pm and you don't have to stay the whole day, just take part when you can. We want try and get most people to be there at 2pm to mass. Parking might be in short supply at the State Capitol's basement parking lot on Miller St. (driveway across Punchbowl St. from Queens Hospital. There are other State/City parking lots in the area. Alternative transportation recommended. Who will be the spokesman for ssh? I presume zip will represent hifico. Did anybody send a press release to the local tv stations? We're tagging along so everyone is on their own. This is good stuff. If we want rights restored, step one is changing legislators. Either changing their minds and methods, or replacing them with legislators that will work for the people, like they are supposed to. Current clowns do nothing of that sort. Sorry I can't make it at 2pm. That's when I start work.